a) He Who possesses and gives the eight auspicious accessories of yoga. b) He Who has a handsome form. c) He Who has a form that bestows ma'ngaLam to those who meditate on It. d) He Who makes everything auspicious by His presence, movement, etc. The same nAma occurs again as nAma 788.
a) SrI BhaTTar interprets the term a'nga here to refer to the eightaccessories of yoga - ashTA'nga yoga (yama, niyama, Asana, prANAyAma, pratyAhAra,dhAraNa, dhyAna, and samAdhi). All of these are auspicious (Subha) on account ofthe devotion to Him and are obtained by His favor. It is He who helps thedevotee to begin and complete the meditation on Him. The dharma cakram writer nicely explains how the practice of asTA'nga yogaresults in the realization of Oneness with bhagavAn. One gets control of themind by practicing yama and niyama, the first two of the 8 a'nga-s of theashTA'nga yoga, with their aspects (ahimsA, satya, brahmacarya, asteya, andaparigraha as part of yama, and Sauca, santosha, svAdhyAya, tapas, and AtmasamarpaNam as aspects of niyama). Asana and prANAyAma help in developing thebody so that it is fit for the meditation on Him. The next four a'nga-s of theashTA'nga yoga - pratyAhAra, dhAraNa, and dhyAna, and samAdhi - develop andnurture the thought and concentration on Divinity continuously with each step,the ultimate end being the realization of Him - samAdhi. b) SrI Samkara interprets the term a'nga here to refer to His form, and sothe meaning given is - sundarAn tanum dhArayan SubhA'ngah. SrI v.v. rAmAnujan gives an additional interpretation - BhagavAn isSubhA'ngah since He has 788 beautiful a'nga-s in His tirumeni. A reference tothe original source of this information is not available. c) SrI kRshNadatta bhAradvAj interpets the nAma as "One Who has the formthat bestows Subham or ma'ngaLam on those who meditate on His caraNam (Feet),vadanam (tirumeni), nayanam (lotus eyes), etc. - SubhAni - darSakAnAmmangalotpAdakAni; a'ngAni - caraNa vadana nayanAdIni; yasya iti SubhA'ngah. d) SrI satyadevo vAsishTha interprets the word a'nga based on the root a'ng -to go, and his anubhavam of this nAma is that bhagavAn is SubhA'ngah since Hemakes everything auspicious by His very movement in every form, of His verypresence in everything that is moving, for example the Sun. To summarize, the vyAkhyAna kartA-s have given two different interpretationsfor the term a'nga that occurs as part of this nAma. The first refers to theeight a'nga-s of the ashTA'nga yoga, and the second refers to the auspiciousparts of bhagavAn's body. The meanings given are thus: a) He is One who blessesthe devotee with the means of the a'nga-s of the ashTA'nga yoga and the successin it, and b) He is One who has the captivating auspicious form that the devoteemeditates on. 594. SAnti-dah - The bestower of eternal peace. By My Grace, you will attain supreme tranquillity and the eternal world as well. aDiyArgaLaik koNDupOi tanmai peRuttit tan tALiNaikkIZh koLLum appan. SrI Samkara's vyAkhyAnam is that bhagavAn bestows peace of mind characterizedby complete absence of likes and dislikes, and so He is called SAnti-dah. Truepeace of mind results only when there are no likes and dislikes. One cannot getcontentment as long as one has likes and dislikes. The dharma cakram writer refers us to tiruvaLLuvar who defines God as one whois "vENDudal vENDAmai ilAdAn". By our dedicating our thoughts to Him,we can get to the stage where we will be able to get away from likes anddislikes, and thus attain true inner peace. The lesson to take from this nAma is that He is the Bestower of the UltimatePeace - moksha, which one gets by constant meditation on Him. 595. srashTA - The Creator. This nAma also occurs later as nAma 990. SrI BhaTTar: The root from which this nAma is derived is srj - to create.Just as He bestows moksha to those who long for it, He also bestows samsAra whoask for it through their karma. Thus He is the Creator as well. aham kRtsnasya jagatah prabhavah - I am the Source of the entire creation. sargAdau sarva bhUtAni sasarja iti srashTA. dvAvA bhUmI janayan deva ekah. and to aitareya upanishad 1.2 - sa imAn lokAn asRjata. The root srj also means to let loose, to send forth - visarge. SrI satyadevovAsishTha uses this meaning, and his anubhavam of this nAma is that bhagavAnkeeps all the beings inside Himself at the time of pralaya, and then puts themout at the time of sRshTi, and so He is srashTA. The dharma cakram writer looks at the positive aspect of creation - by givingthe body to the jIva, bhagavAn gives the jIva one more opportunity for it toseek and attain Him. The beauty of this anubhavam is that whatever He does, Hedoes it for our welfare, including all the punishments that He gives us. SrI cinmayAnanda observes that He is the Creator of brahma, whose function isto create, and it is only because of the abilities and capacities derived fromvishNu that brahma can perform his functions of creation. Thus one can see thatHe is the antaryAmi behind all the other gods, and their powers derive from Him. All interpretations converge on His function as the Creator. The differentvyAkhyAna-s emphasize the different aspects of His function of creation. Hecreated everything to start with, the cycle of creation keeps happening from Himafter each pralaya, this creation is an inevitable consequence of the karma ofthe beings who insist on being on born again and again, this act of creation bybhagavAn is an expression of His extreme kindness to us in that this gives thejIva one more opportunity to realize Him, and all this is happening because Heis the Power behind everything. Thus, all vyAkhyAna kartA-s are using themeaning "Creator" for the nAma, and yet we get the benefit of therichness of the diversity of the anubhavam-s here. 596. ku-mudah - He who is happy in His relation to this world in variousforms. This nAma also occurs as nAma 813.
pala pala mAya mayakkugaLAl inbuRum iv-viLaiyATTuDaiyAn. Based on the same derivation, SrI BhaTTar gives yet another anubhavam - kaumodate iti kumudah - bhagavAn delights Himself even in the prakRti maNDalambecause of His company with His devotees. SrI v.v. rAmAnujan elaborates: In thisworld which can make rAma cry and suffer - nATTil piRandu paDAdana paTTu, losingsItA, being kicked out His kingdom, being forced to live in a forest, losingjaTAyu, etc., He still finds it His pleasure to be in the company of bharadvaja,atri, agastya, etc. nammAzhvAr describes how bhagavAn mingles with His devotee -oru iDam onRu inRi ennuL kalandAn (tiruvAimozhi 2.5.2). SrI Samkara interprets the nAma as suggesting that He gives joy to this earthby freeing it of its burdens (at the time of pralaya?) - kum - dharaNimbhArAvataraNam kurvan modayati iti kumudah. SrI rAdhAkRshNa SAstri's anubhavam, starting with the same meanings for thewords ku and muda, is that He delights in His company with bhUmi pirATTi, and soHe is called ku-mudah. Or, He takes incarnations in this earth to get rid of theevil and to protect the good, and thus He delights Himself with this earth. SrI cinmayAnanda interprets the nAma as indicating that bhagavAn delightsHimself by creating this world of plurality which is the joyous expression ofthe infinite potentialities of bhagavAn. SrI satyadevo vAsishTha's anubhavam is based on a line of thought entirelydifferent from all the above. He derives the meaning based on the root kai -Sabde - to sound, and thus interprets the nAma as indicating bhagavAn's guNa ofderiving pleasure through Sabda, in the form of giving this experience to Hiscreations in the form of their power of speech, hearing, music etc. One couldalso think of His deriving pleasure in hearing the chanting of the veda-s andthe sAma gAna. The dharma cakram writer illustrates the dimension of the pleasure that isderived by bhagavAn in this world through an example. He refers us to thepleasure that a small ant derives out of a huge mound of sugar. Even thoughthere is this huge source of pleasure for the ant, all the ant sees of this isthe few particles of sugar that it needs to fill itself, and then a few moreparticles to save for the future in its nest. The pleasure that we see in thisworld through our five indirya-s etc. is similar to what the ant enjoys, andmost of us miss out on the great store of pleasure called bhagavad anubhavam.What bhagavAn offers and derives out of this world is the huge mound that wedon't take advantage of. This nAma illustrates to us that the true pleasure tobe derived out of this world is the greater pleasure, which is accessible to usby meditating on His nAma and by seeing beyond the sense-pleasure, by dedicatingourselves to His kaimkaryam. Thus, to summarize the different vyAkhyAna-s, the nAma indicates thatbhagavAn delights Himself with this earth in various ways: by creating thediverse beings, by giving them the anubhavam of rUpam, rasam, Sabdam etc., bydestroying the evil and protecting the good through His different incarnations,by having bhUmi pirATTi as His consort, by being in the company of His devotees,by relieving the earth of its burden at the time of pralaya, by giving the veda-sto us, by hearing us sing His praise through songs and through the veda-s, etc. a) The Controller of the jIva-s who wander in this world with the thoughtthat they are the masters of their bodies. b) He Who is reclining in the waters surrounding this earth. a) SrI BhaTTar derives the meaning by looking at the nAma as ku_vala-ISa-ya.ku refers to the world as pointed out in the previous nAma. vala means valanti-wandering. ISa means Ruler. Thus, ku-vala-ISa refers to the jIva-s who wanderaround in this world with the thought that they are the masters of their bodiesand that they control everything about themselves. Yah is the part that refersto bhagavAn who goes after (yAti - goes) these jIva-s, i.e., keeps them undercontrol. SrI v.v. rAmAnujan refers us to nammAzhvAr - "ulagam mUnRu uDaiyAi!ennai AlvAnE! 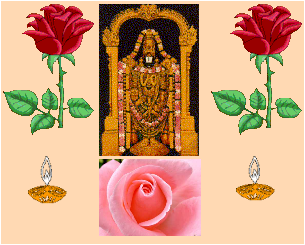 (tiruvAimozhi 6.10.10). SrI satyadevo vAsishTha also looks at the nAma as ku + vala + ISah + yah.However, he interprets the nAma as referring to bhagavAn who has control (ISah)over all those that make sound (kai - Sabde - to sound, see previous nAma), allthose that walk or move (vala), etc. In other words, He is the antaryAmi ineverything. b) SrI Samkara derives different interpretations, all based on looking at thenAma as kuvale Sayah, where Sayah refers to reclining. His differentinterpretations are based on different meanings for the term kuvala. One of theinterpretations is: koh kshiteh, valanAt - samsaraNAt, kuvalam - jalam; tasminSeta iti kuvale-Sayah. In other words, He is kuvale Sayah because He isreclining in the waters that surround the earth. SrI rAdhAkRshNa SAstri notesthat since the earth originated from water - adhbhyah pRthivI - water surroundsthe earth. Another interpretation that SrI Samkara gives is that kuvala can refer to theunderside of the serpent, since it crawls on the earth with its stomach - kau -bhUmyAm, valate - samSrayata iti sarpANAm udaram kuvalam, tasmin Seta itikuvale-Sayah - He reclines on the serpent, and so He is called kuvaleSayah. The dharma cakram writer explains that the pa'nca bhUta-s evolved in thesequence AkASa, vAyu, agni, waters, and earth. Since earth arose from waters,the waters surround the earth. The pa'nca bhUta-s all arose from Him, and so asimple way to understand the statement "He is reclining in the waters"is to remember that bhagavAn is in the Nature that originated from Him. To summarize, there are essentially two different ways that this nAma hasbeen interpreted. One is kuvala + ISa + yah - He is the controller or Master ofeverything that moves around, and the other is kuvale + Sayah - He Who reclinesin the waters, or He Who is reclining on the AdiSesha. a) He Who looks after the welfare of the world. b) He Who protected the cows by lifting the govardhana mountain. SrI BhaTTar's vyAkhyAnam is that "go" here refers to prakRti (thePrimordial Matter) which is the field where the seeds for samsAra are sown. Hitah refers to Him who gives hita to this world, who controls and looks afterthe welfare of this world. SrI v.v. rAmAnujam gives the support fromtiruvAimozhi - koLLa mALA inba veLLam kOdila tandiDum en vaLLal (4.7.2). The inba veLLam that nammAzhvAr refers to is of course the bhagavad anubhavam. SrI Samkara gives the meaning "cows" to the samskRt word"go", and thus interprets the nAma in terms of the hitam that bhagavAndid to the cows through the lifting of the govardhana mountain - gavAmvRddhyartham govardhanam dhRtavAn iti gobhyo hito go-hitah. He gives anadditional interpretation based on the meaning "bhUmi" for the word"go" - gohitah in thissense being a reference to His protecting this world through differentincarnations to destroy the evil and protect the good. SrI satyadevo vAsishTha uses the root gatau - to go, and gives theinterpretation that bhagavAn is go-hitah because He facilitates the movement ofall beings in this world. In summary, "go" can refer to cows in particular or to the world andits people in a more general sense. Either way, go-hitah refers to Hisbeing the One who facilitates their existence. a) The Lord of the Celestial world. b) The Lord of the indriya-s. This nAma occurred earlier as nAma 497 (Slokam 53). Please refer to thewrite-up under that nAma, which is fairly detailed and is supplemental to thewrite-up that follows. SrI BhaTTar interprets the word "go" in current occurrence of the nAmaas referring to the bhoga bhUmi svarga, and thus gives the meaning to thisinstance of the nAma as "He Who is the Lord of those in svarga". patirefers to His role as the rakshaka or Protector. BhagavAn is the Lord ofthis world as well as the Celestial world, and time and time again He comes tothe rescue of the deva-s when the asura-s get the upper hand. SrI v.v.rAmAnujan gives the tiruvAimozhi reference - kaN AvAn enRum maNNOr viNNORkku(1.8.3). SrI cinmayAnanda interprets the term "go" as referring to cows,people, sense-organs (indriya-s)etc. Since He is the pati or Lord of allthe things, the term means that He is the Lord of all. SrI satyadevo vAsishTha gives the meaning that He is the Protector of all,starting with the meaning gau - to go for the term "go". Inother words, He shows the path for all the beings, and protects all beings evenas the sArati of a chariot sits in the driver's seat and directs the chariot andthe horses pulling the chariot, and protects them and looks after their welfare. This nAma occurred earlier as nAma 498 (Slokam 53). Please the write-upunder that nAma. The different interpretations offered are all based on either the meaning gup -to protect, or gup - to conceal. SrI satyadevo vAsishTha's anubhavamis that He keeps Himself hidden (svayam Atma guptah), and at the same timeprotects everyone because this is His dharma (goptA sa vishNuh sa hi goptRdharmA). Thus, he uses both the meanings of gup in his vyAkhyAnam. b) He conceals Himself from those to whom He does not want to revealHimself, or He conceals His devotees from the bad, He conceals the Inner Selffrom those who are not qualified to realize it, He remains concealed fromeverything and at the same protects everything etc. gopAyati- satatam rakshati svabhaktAn nityadA iti goptA. (For meanings, please refer to the write-ups on SrI deSika stotram in thislist). a) HeWho is the Support for the cycle of samsAra in the form of dharma. b1) He Whose Eyes shower all fruits desired. b2) He who has dharma as His objective. The two parts of this nAma are vRshabha and aksha. vRshabha is derivedfrom the root vRshu - secane - to shower, to rain. vRshabha is also a termthat denotes dharma. The word aksha means axle or eye. The union ofthe two words then leads to the different interpretations. a) SrI BhaTTar gives the interpretation that bhagavAn is the dharma axle thatsupports the wheel of samsAra. vRshabha means dharma because it showersthe fruits of actions - phala varshI vRshabho dharmah. BhagavAnis the support for samsAra cakra or the wheel of samsAra, for which He is thesupport or axle in the form of dharma (sah akshah - samsAra cakra AdhArah). nammAzhvAr refers to Him as "tani mudalAi mUvulagum kAvalOn (tiruvaimozhi2.8.5) - v.v. rAmAnujan. b1, b2) SrI Samkara vyAkhyAnam is - sakalAn kAmAn varshuke akshiNI asya itivRshabhAkshah - He whose eye rains the fulfillment of all the devotee's wishes. All He has to do is look at the devotee with the samkalpam that He wants tobestow His devotee with his wishes, and the devotee's wishes will be fulfilled. Alternatively, His vision or look is dharma - vRshabhah dharmah sa eva vA dRshTih asya iti vRshabhAkshah; that is, He only has dharma as His objective. The dharma cakram writer points out the example of duryodhana and arjuna, andshows how dharma is what protects one ultimately. bhIshma toldduryodhana when the latter asked bhIshma to fight on his side, that no matterwho fights on duryodhana's side, he will lose because he is following the pathof adharma, and arjuna's side will win because he is following the path ofdharma. This nAma teaches us that bhagavAn will always be on the side ofdharma, and if we follow the path of dharma, He will bestow His blessings on us. The summary of the different interpretations is that He uses dharma to run thesamsAra cakra by bestowing the benefits of the karma-s to the devotees accordingto their karma-s.
b) Dear to the virtuous. vRsho dharmah priyo yasya iti vRsha-priyah. SrI BhaTTar gives theinterpretation that bhagavAn is vRsha-priyah because He is pleased with dharma -both pravRtti dharma and nivRtti dharma. It is His pleasure with thedharma performed by His devotee that results in His bestowing the desired fruit. pravRtti dharma helps the jIva-s continue in this world; nivRtti dharmahelps its practitioners attain Him instead. The dharma cakram writer gives the example of one who practices pravRttidharma - one who earns money through honest profession and then spends theproceeds in a dhArmic way - this person is one who is interested in the life ofthis world and observes the pravRtti dharma. One who is not involved in the material world and who insteadmeditates on Him as the sole purpose of life is a practitioner of nivRttidharma. The life led by svAmi vivekAnanda's father is given as an exampleof pravRtti dharma, and the life of svAmi vivekAnanda as an example of nivRttidharma. The point to note is that both the paths follow dharma, and arethus dear to Him. SrI Samkara gives an additional interpretation - that bhagavAn is dear to thevirtuous - priya for vRsha-s.
SrI rAdhAkRshNa SAstri observes that dharma is so dear to bhagavAn that He takesbirth among the likes of us just to protect and preserve dharma - dharmasamsthApanArthAya sambhavAmi yuge yuge (gItA 4.8).